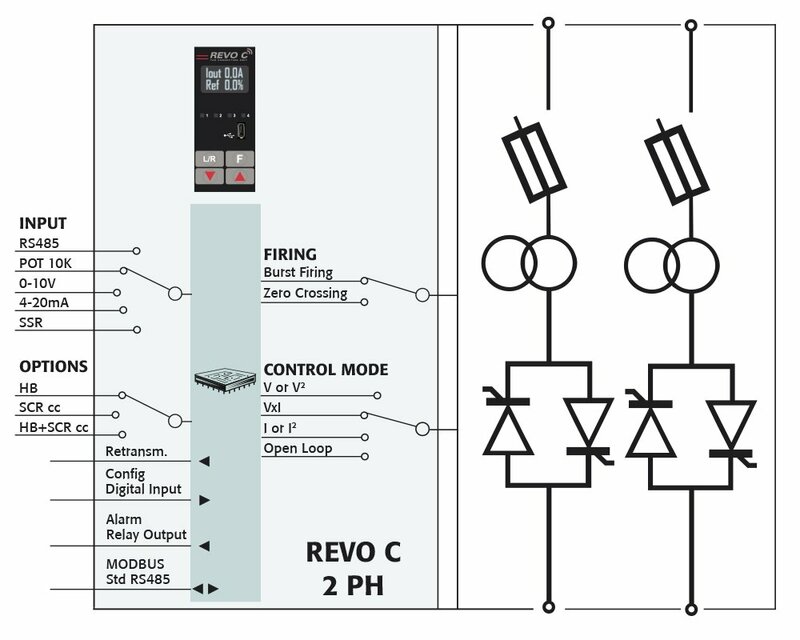 REVO C is an high reliability Universal SCR Power Controller that has an advanced microprocessor that makes it universal and fully configurable via software. Particular attention has been gived to the Connectivity with the most popular Field Bus and to the unit management via Wi-Fi (optional) and CD Automation Smartphone APP. 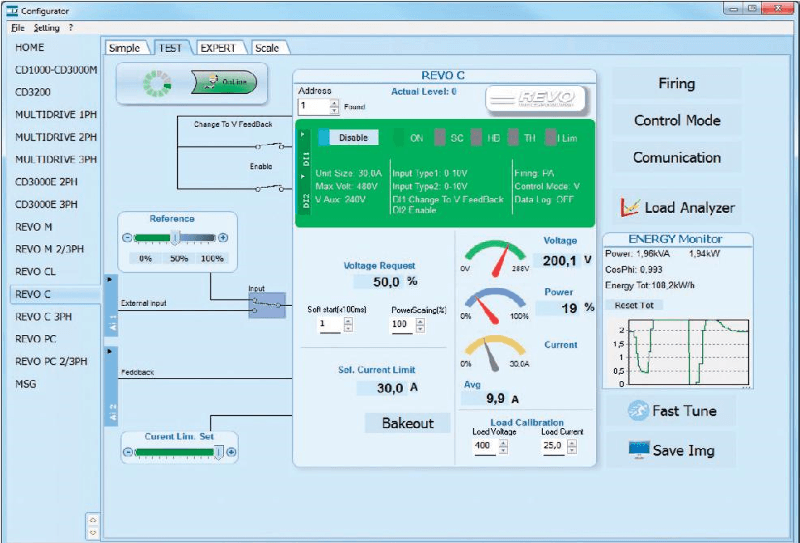 REVO Connect is fully Software configurable. 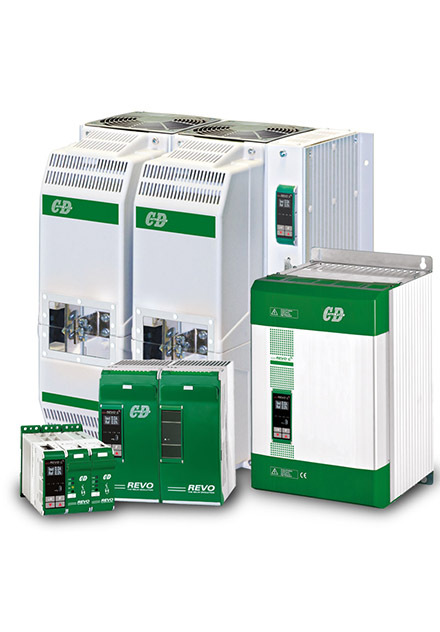 Currente Rating 30 to 700A for 1-2 Phase unit and up to 500A for 3Phase Unit. 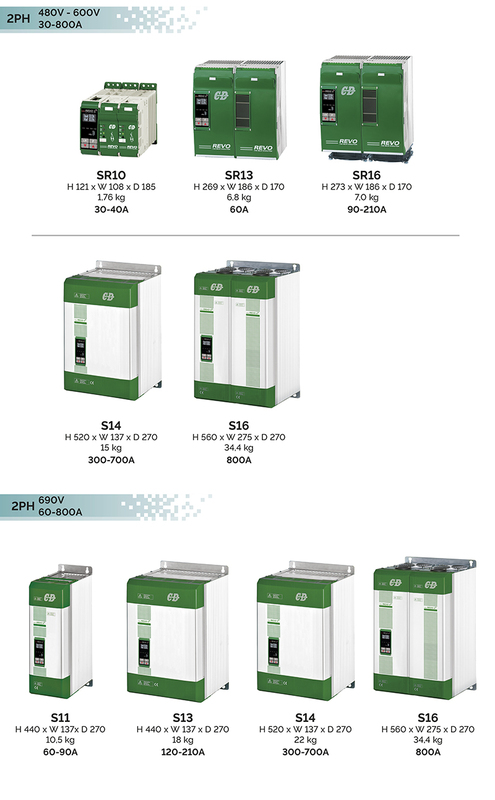 Voltage Range 480V , 600V and 690V (nella versione da 300A). CE-EMC and cUL 508 Listed. Universal Input: The std analog inputs 4:20mA and 0:10V and SSR Configurable via Software. All types of firing mode Half Cycle, Single Cycle, Burst Firing, Delayed Triggering Phase Angle and Soft Start. OLED display on front Unit: This display give better operator interface and delivers use-friendly intuitive messages. Universal Control Mode: Current, Voltage, Power, Open Loop. Integrated Data Logging with Storage:xxGB SD Memory Card with programmable Logging Intervals. Greater protection in case of Short Circuit : 100 KA Short Circuit Current rating (SCCR) up to 600V. Generous sizing of Thyristors and Thermal Parts using hight efficency Heatsink. Wide range of communication protocols: Control board has been engineered to plug on it different Field Bus boards. user having to work in a high voltage environment because the unit is powered through USB connection. Energy Counter Totalizer: This is available as an option and can be useful to define the cost per hour of heating system. Fully compatible with REVO M and REVO CL serie: This is an important Feature because allows to substitute old REVO with REVO C The number of terminal blocks is the same to facilitate the substitution. 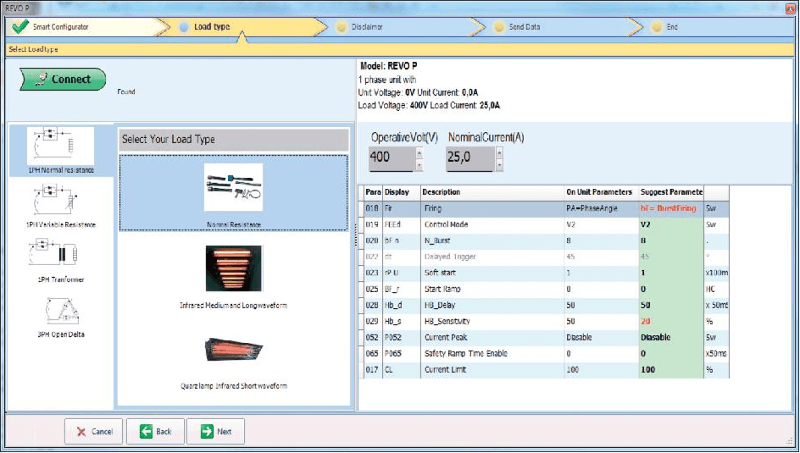 Integrate Load Analyzer: This is an important Feature that can help the operator for troubleshooting problems. This is a Real Wave Form Load Monitoring. 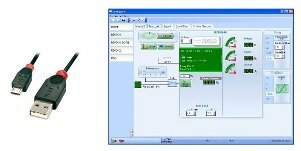 A wide range of communication protocols are available, including: Modbus RTU, Ethernet TCP, Profibus, Profinet, WiFi, and the USB port for data transfer. USB device on front unit for configuration: Standard easily and safety normally used to configure the REVO C Eliminate the user having to work in a high voltage environment because the unit is powered through USB connection. you to configure all CD Automation products quickly and easily by using the FAST MODE. Simply select your application and the load type picture appears automatically, providing a list of suggested parameter settings. Depending on your application requirements, you can accept or make manual adjustments and when ready, download direct to the thyristor unit. CD Automation products as well as finding process issues or fine tuning at a later stage. You can read, write, enable and disable key values and parameters to test your load. 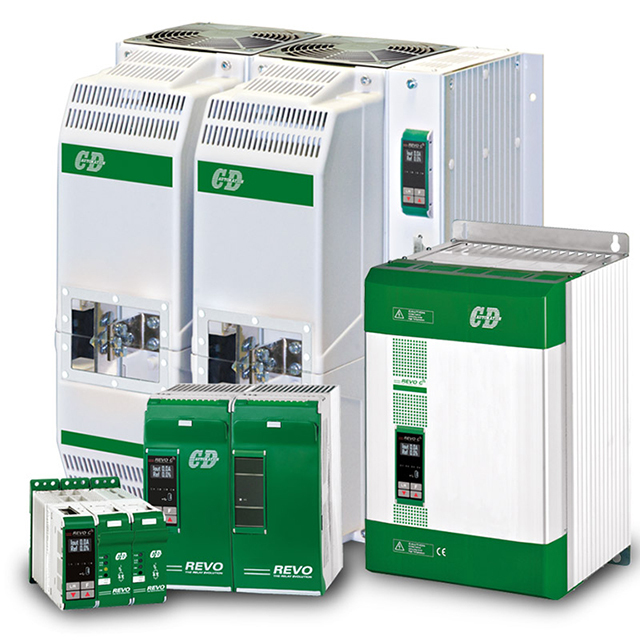 Examples include; reading voltage, current and power values, or current limit status, changing input types between analog or SSR, control (feedback) modes V, I and VxI, or select firing types half cycle, single cycle, burst firing, delayed triggering, phase angle and soft start. 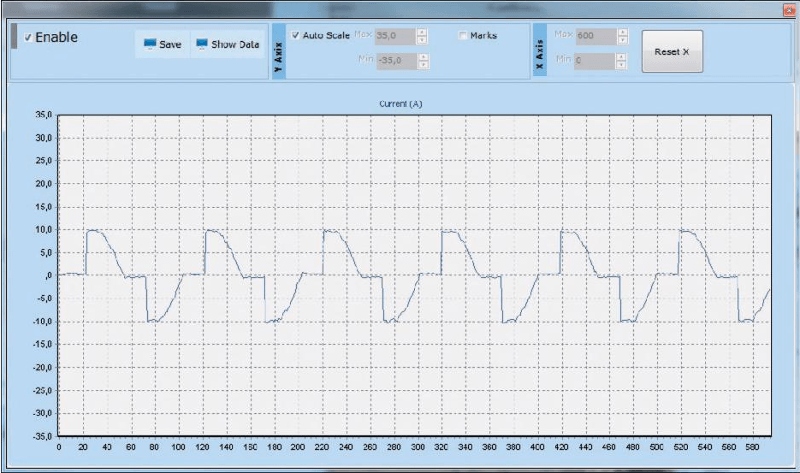 The new ‘Load Analyzer’ (a small oscilloscope) can be activated from this page, see below. 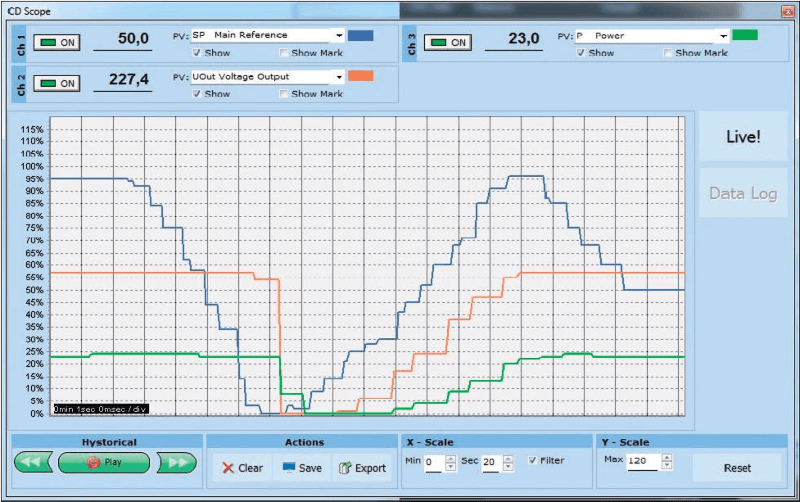 you can select up to 10 process variables to help the operator determine if the waveform is in line with process expectations. Also useful for trouble shooting. Fully compatible with REVO M and REVO CL series. Integrate Fuse inside the unit reduce labor and space and gives the possibility to use a part of fan cooling air to reduce the temperature of semiconductor fuses and reduce the mounting space inside the cabinet.